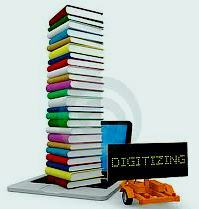 •	Document digitizer is a comprehensive application developed for digitization/scanning and indexing of Mark sheets. •	Provision to upload the scanned documents on a customized web application also developed which can be hosted at State Data Centre or on a Mid Level Server. •	Access to the application will be only through user id and password with predefined access privileges. •	The system also facilitates verification of the digitized records in case of any correction towards a particular record. •	Additionally, there is a provision to search/view the scanned mark sheet depending on the specified search criteria. •	Each Book details will be tracked in this module. Each book will be linked as per Exam type, Centre, Month/Year, Seat nos. •	Provision to scan the mark sheet. •	Zoom in and Zoom out facility provided to check the quality and visibility of the scanned image. •	Provision to verify the Page which is scanned. •	Corrections towards a page can be reported along with appropriate remarks while viewing the page. • Provision to keep track of the changes made in the manual record for the already scanned records, like change in name or change in date of birth also made.